By: Derek Mauriello, Vanessa Law, Ivan Williams. 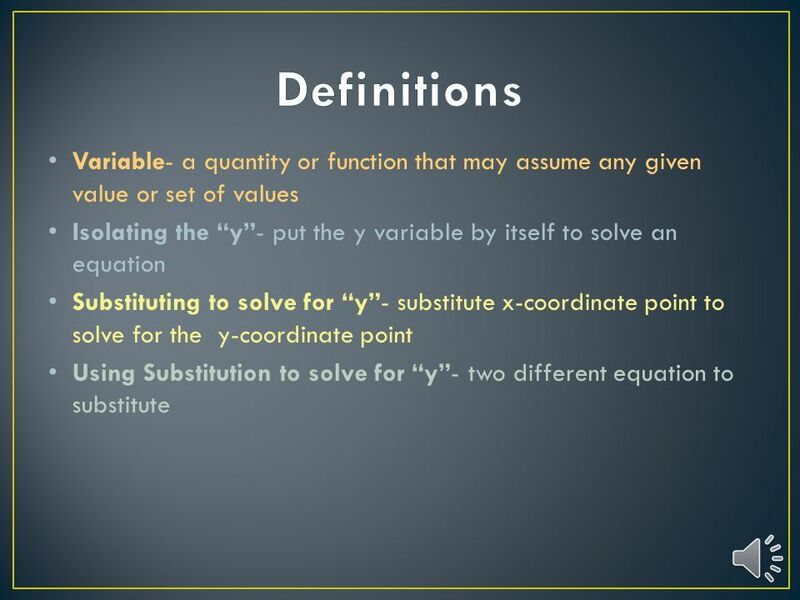 Variable- a quantity or function that may assume any given value or set of values Isolating the y- put. 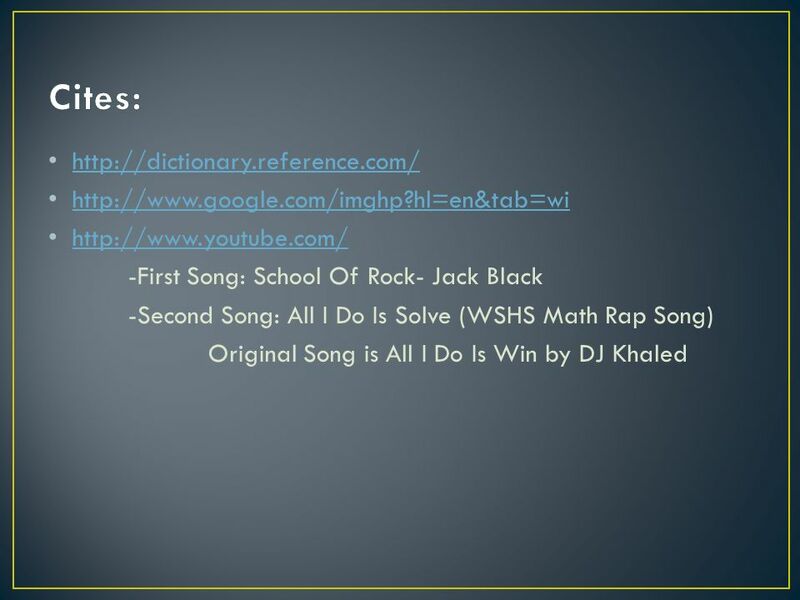 Download ppt "By: Derek Mauriello, Vanessa Law, Ivan Williams. 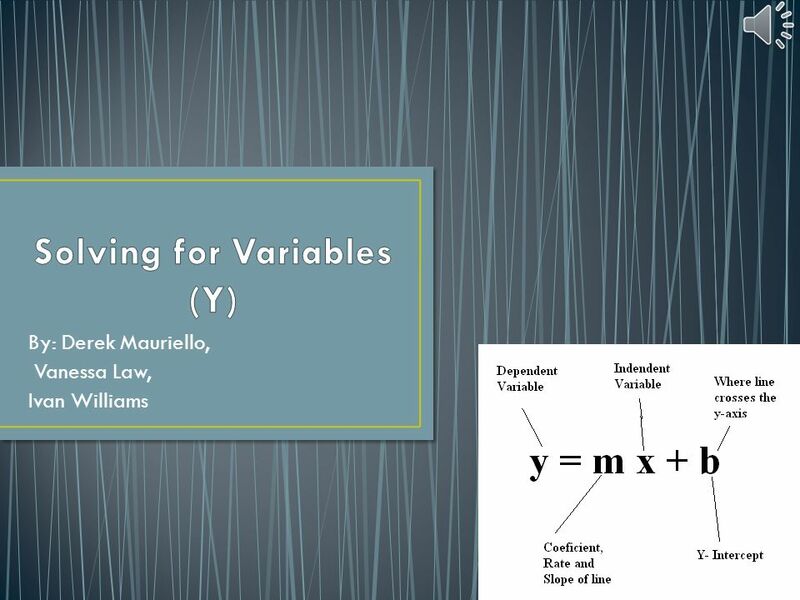 Variable- a quantity or function that may assume any given value or set of values Isolating the y- put." Halloween Warm-Up Paul has two dozen Halloween cookies. He will eat three cookies on Sunday. On every day that follows, he will eat a number of cookies. Daily Quiz - Simplify the expression, then create your own realistic scenario for the final expression. S.Gast MIS Fall Solving Variable Equations A lesson by Mrs. Gast. to one side of an equation, When you do something. Solving Multiplication and Division Equations Lesson 2-7. 3-3 Solving Multiplication Equations. Solve Solution GOAL Find the value of the variable that makes the equation TRUE. The value that makes the equation. 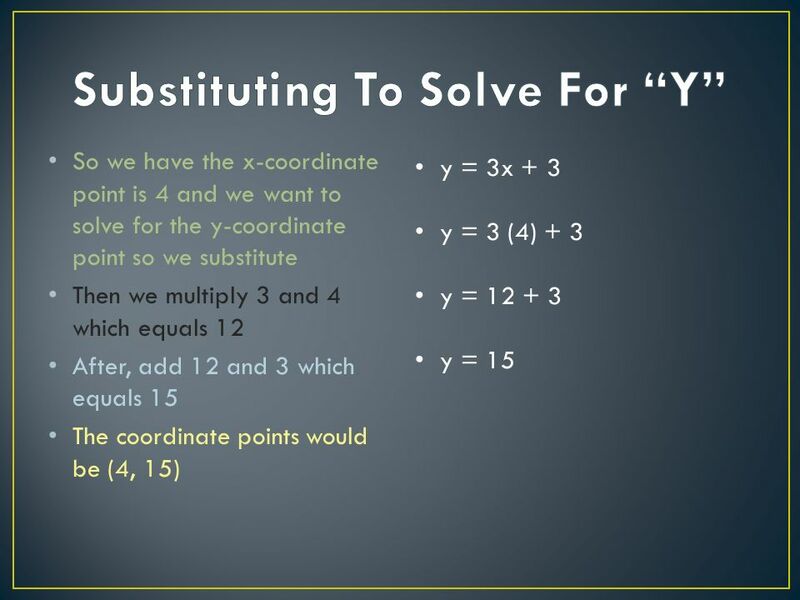 Solving Equations by Adding and Subtracting: Vocabulary Solve: To solve an equation mean to find a solution to the equation. 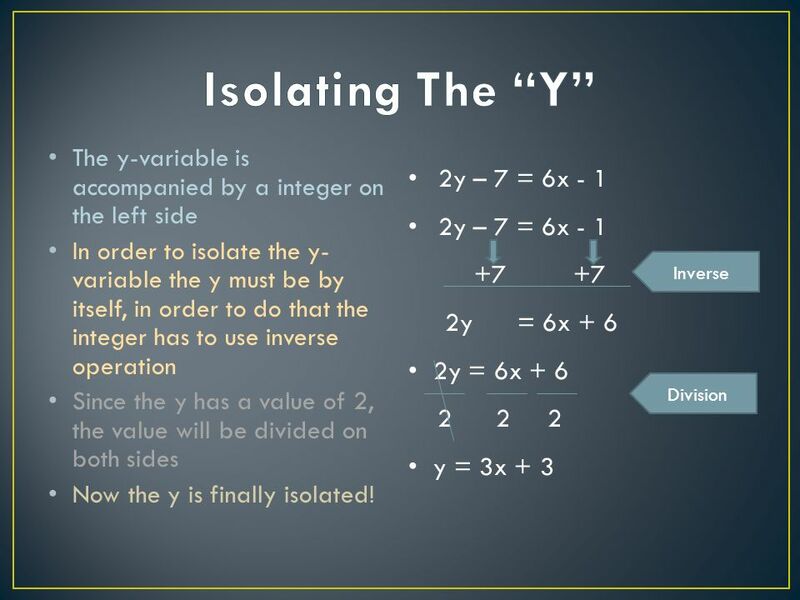 Isolate the variable: Get. 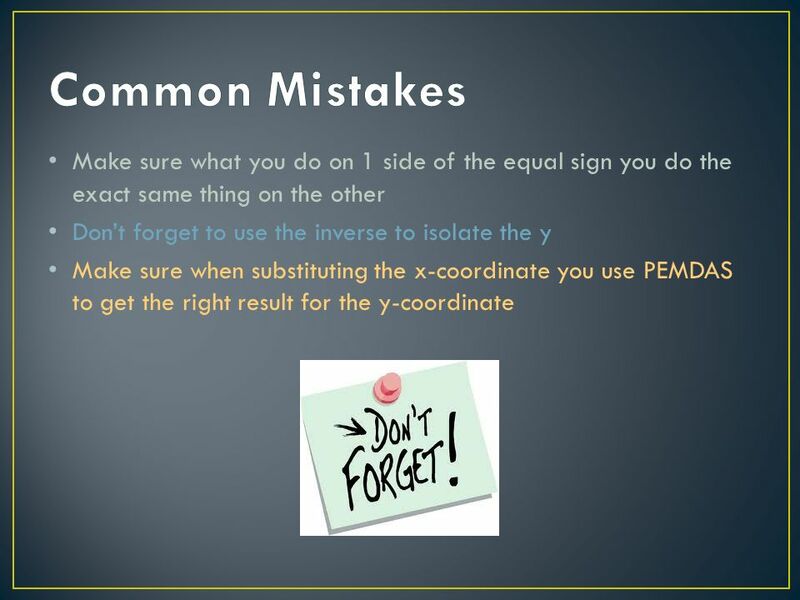 Unit 1: Evaluating and Simplifying Expressions Expression:A math statement without an equal sign (simplify, evaluate, or factor) Evaluate:Testing a value. Solving one- and two-step equations. 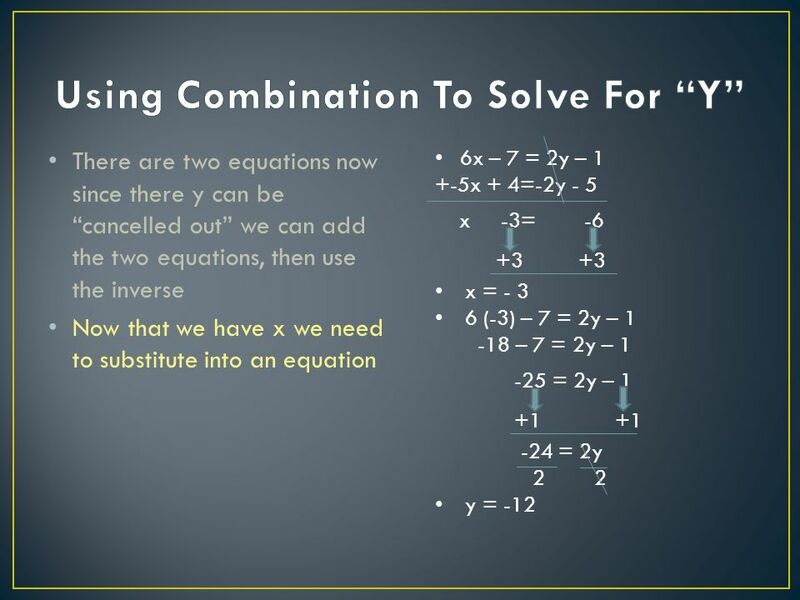 Solving One-Step Equations using Additive Inverse Steps Given the equation x + 4 = 9 use the inverse of adding 4.